Accumulation of cold ions trapped within a space-charge-limited sheath collapses the sheath, causing a transition to the inverse sheath mode. A driving mechanism creating trapped ions is charge-exchange collisions which occur between fast ions and cold neutrals. Due to the complex nature of the temporally evolving sheath, it is difficult to predict how long the transition takes. Depending on the properties of the plasma, emitted electrons, and neutrals, the time scale can range from microseconds to hours. For experimental situations, it is important to understand whether the sheath will transition to an inverse mode within the observation time allotted. 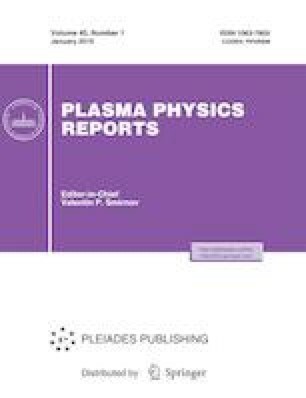 In this paper, we establish a theoretical basis for defining transition time of the sheath in terms of plasma properties. Calculations include an analytical approximation for the length of the virtual cathode, the amount of charged particles in each layer of the space-charge-limited sheath, and a time for its transition to the inverse sheath. The theoretical model is then compared to 1D kinetic simulations of a space-charge-limited sheath with charge-exchange collisions present. The results are applied to estimate transition time scales for applications in laboratory plasma experiments, the lunar sheath, and tokamaks. This work was performed under the auspices of the U.S. Department of Energy by Lawrence Livermore National Laboratory under Contract no. DE-AC52-07NA27344.